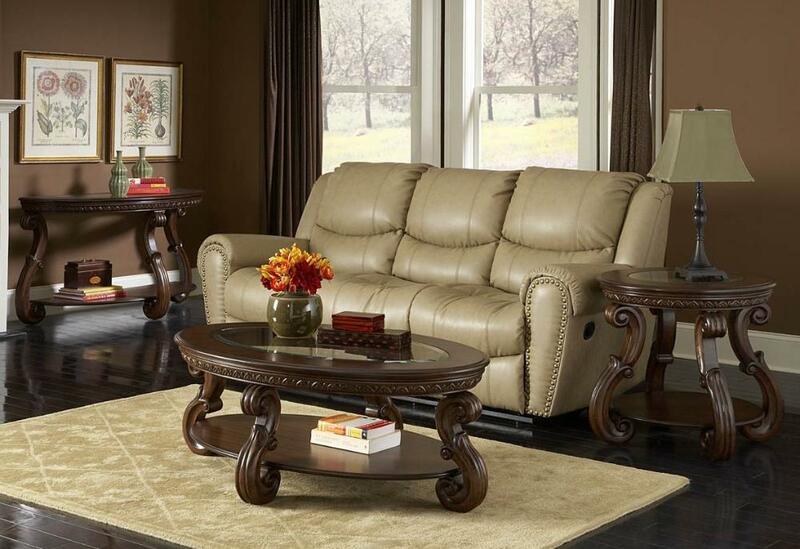 Generous curves and a warm cherry finish enhance the traditional look of the Cavendish Collection. Carved egg and dart molding accent the apron and glass inlay provides a view onto the display shelves. FEATURES: Warm Cherry Finish ~ Traditional Style ~ Glass Top Inserts ~ Carved Egg & Dart Molding Accents ~ Lower Display Shelves.